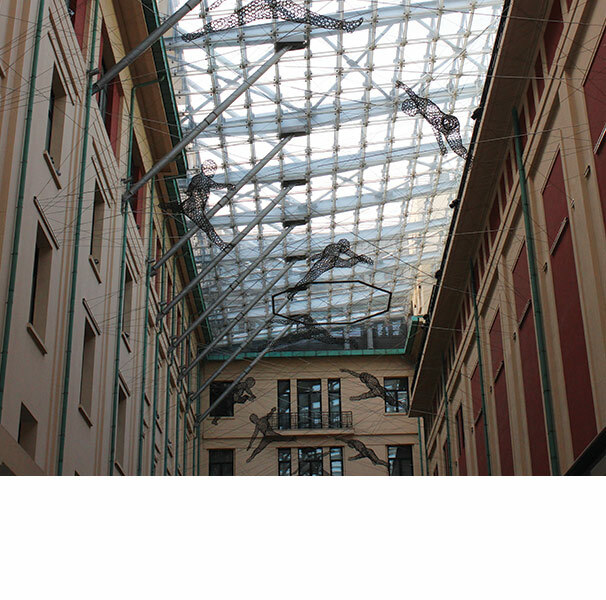 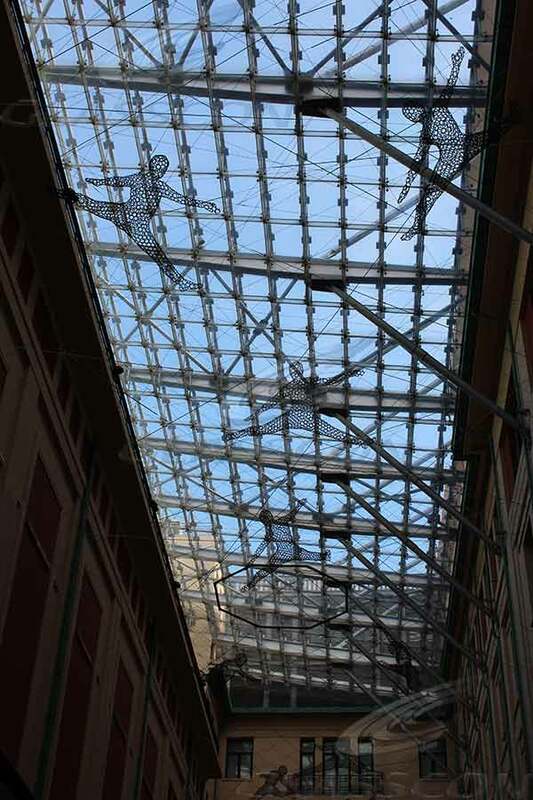 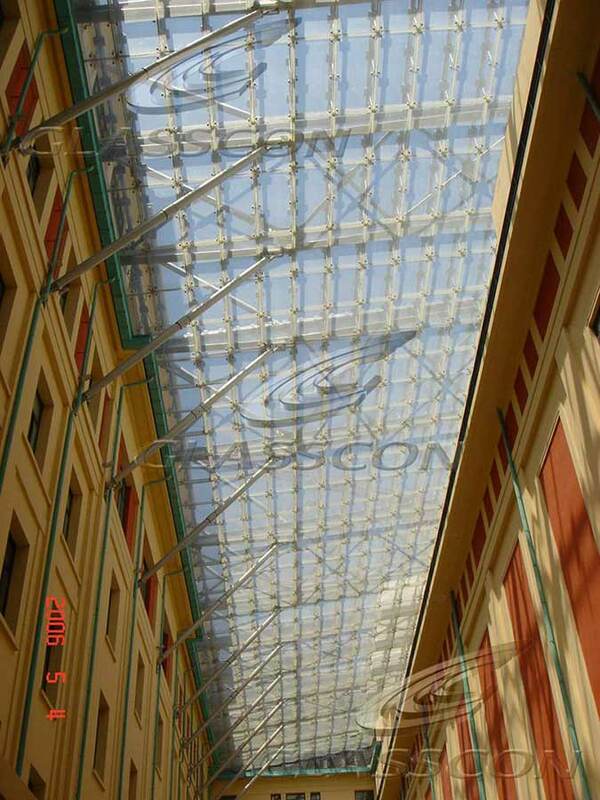 GLASSCON designed & delivered a hitech glass and steel atrium in a shopping mall.The glass panels are point fixed with "glasscon ROTULES system. 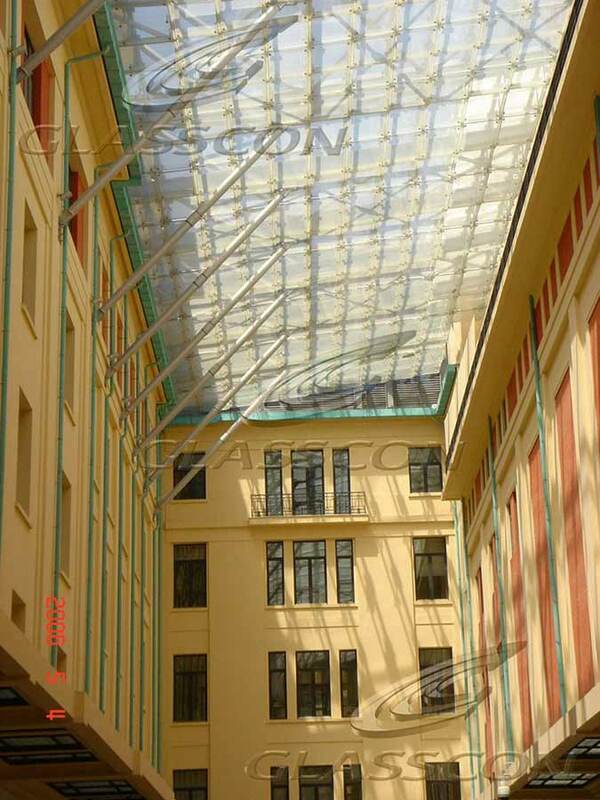 The size of the glass atrium, is over 1.650 sqm. 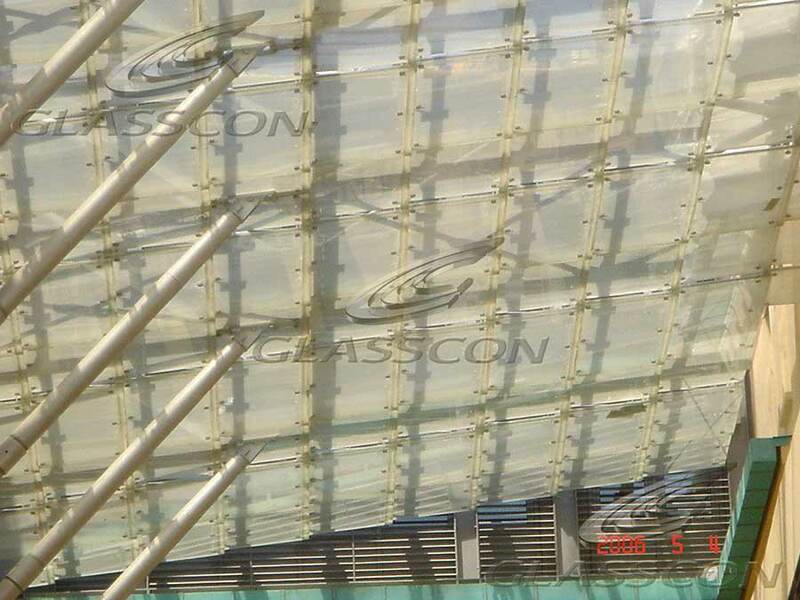 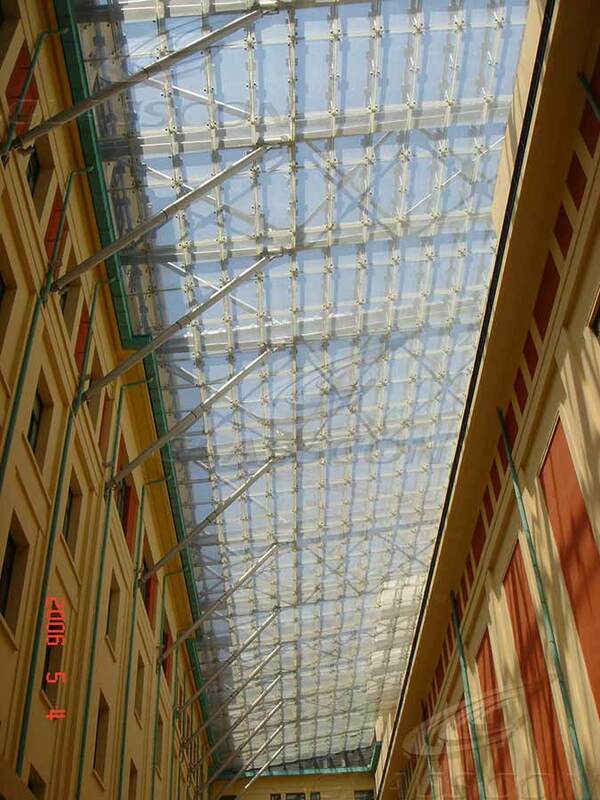 Glasscon offers all kinds of pyramids, skylights, rooftops, patios, atriums, roofs, glass roofs, glass canopies, stainless steel patios, glass & stainless steel patios, glass skylights, big size glass sheets, glass suspension, glass inner suspension, waterproof skylights, waterproof patios, airtight rooftops, suspended glass roofs, glass atriums, glass pyramids, glass rooftops, glass patios, full glass roofs etc. 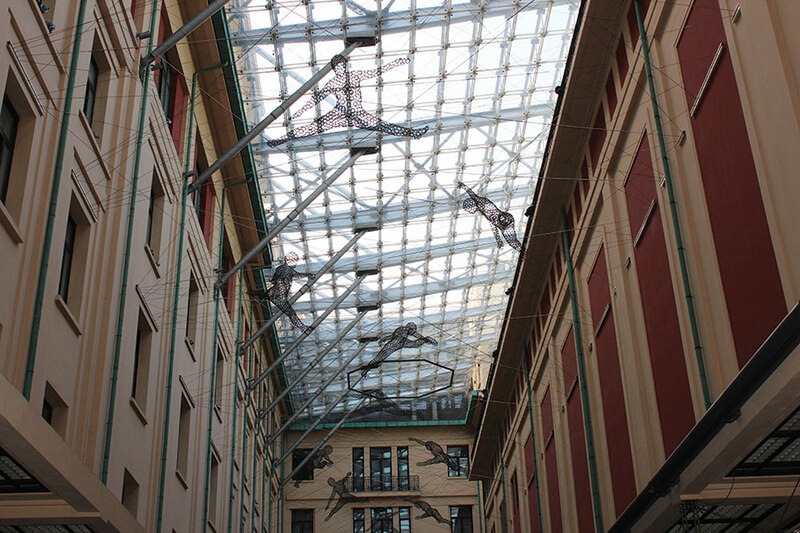 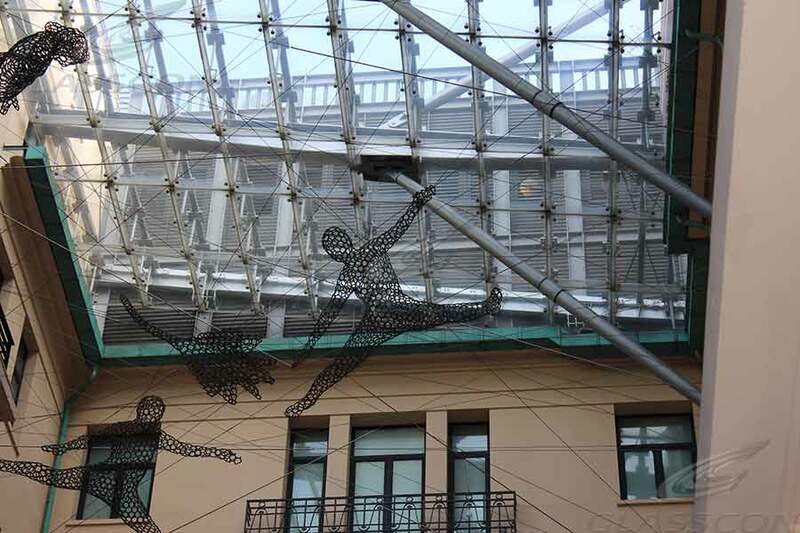 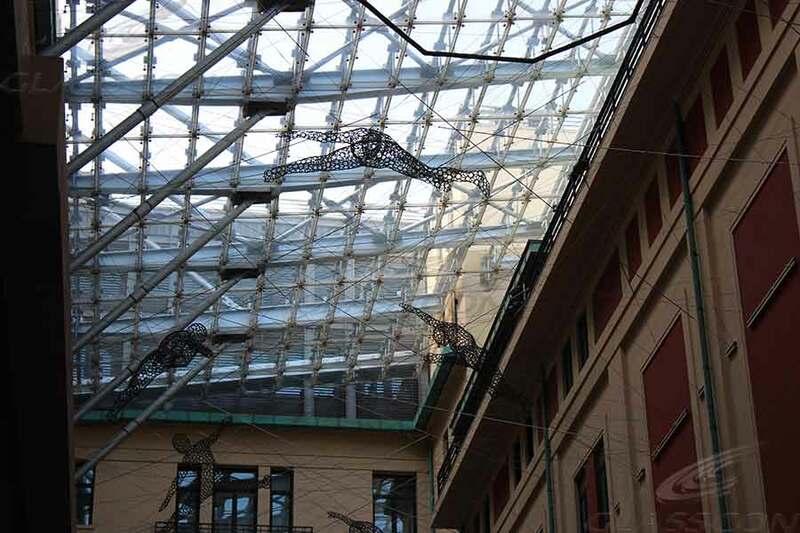 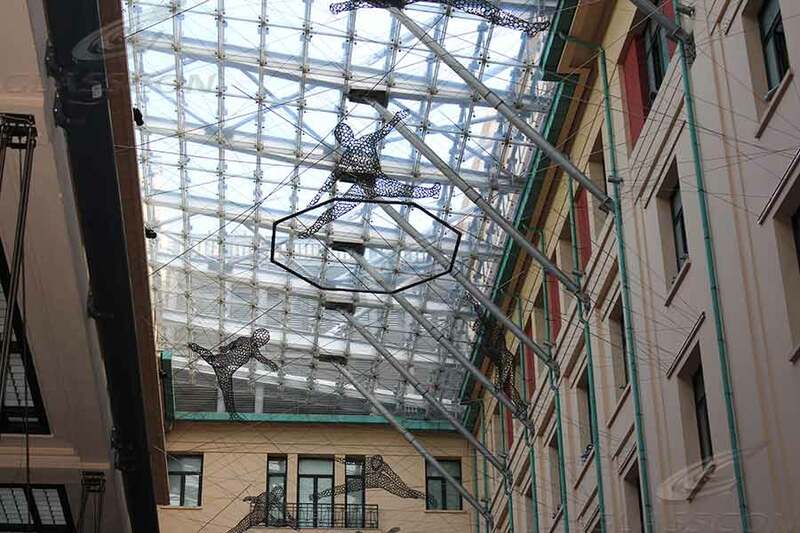 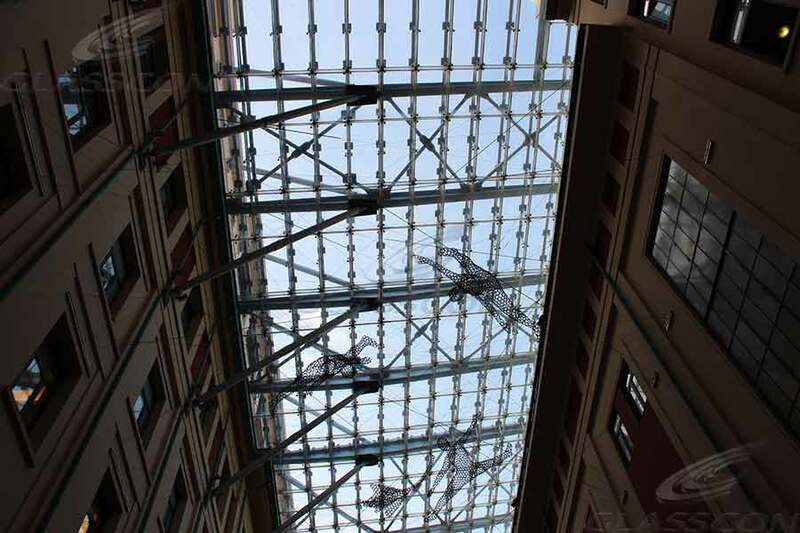 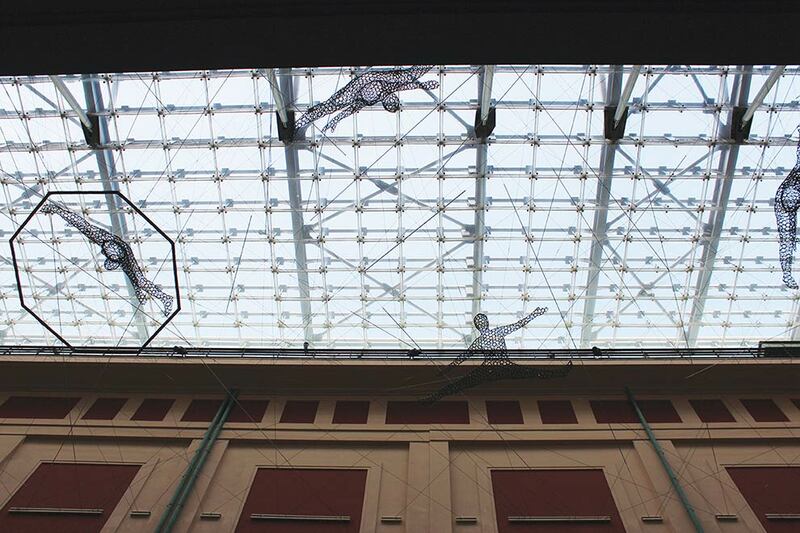 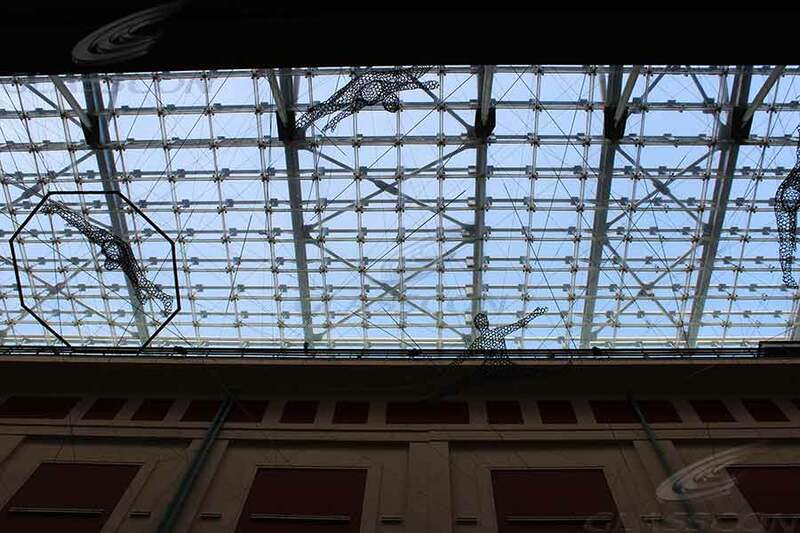 GLASSCON has designed a hi-tech glass - steel rooftop in a shopping mall. 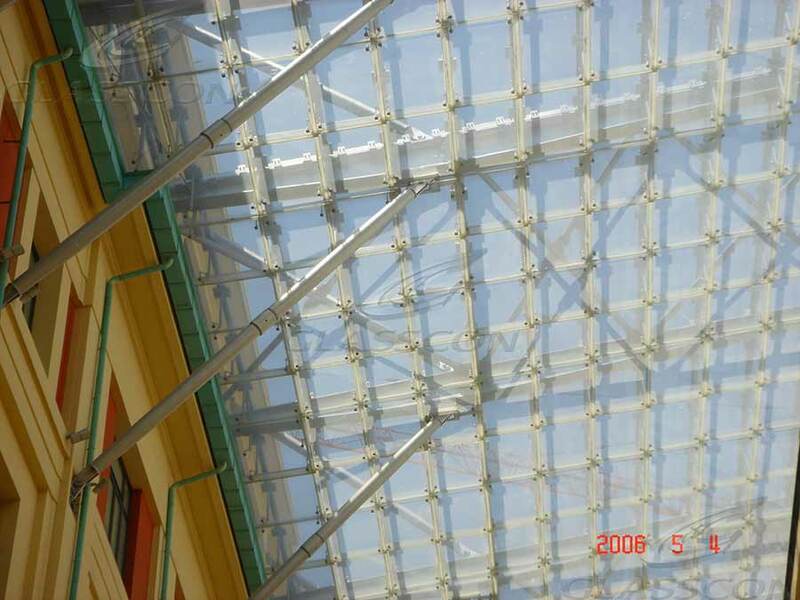 The glass panels are point fixed with spiders & rotoules system. 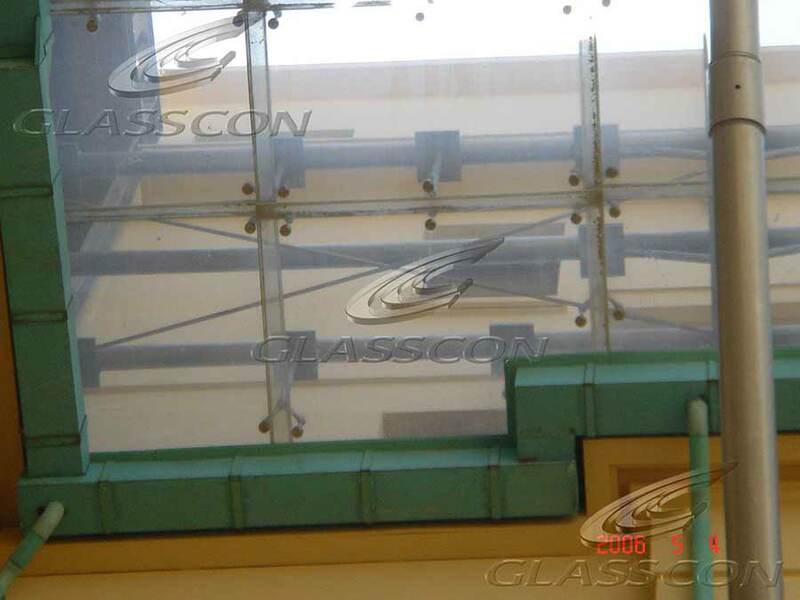 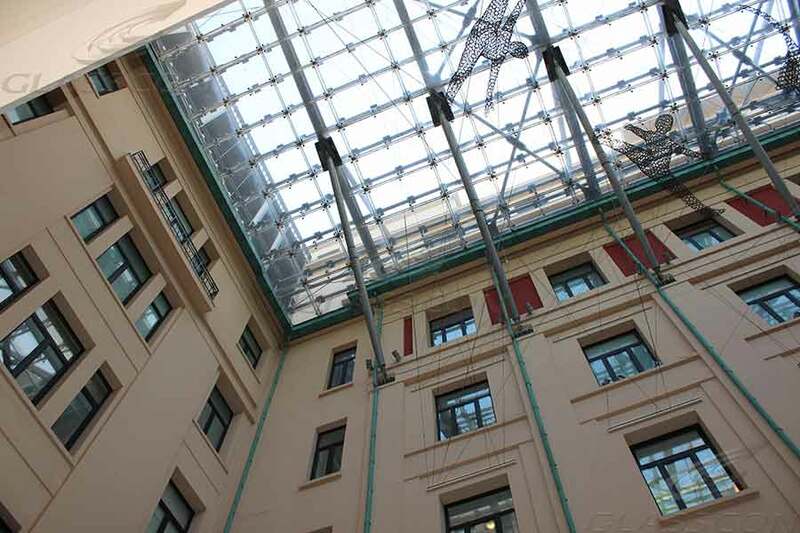 The size of the glass atrium, is over 1.650 sqm and the glass used is tempered laminated.